Every day, firefighters risk their lives to save people from fires, serious accidents and other perils. But in the heat of the moment, their own safety is often the last thing on their minds, and they often fail to recognize the dangers in routine habits and daily life at the fire station. As the supervising fire officer on the front lines, protecting your team’s health and safety must be the first thing on your mind. “Watching their backs” is your most important responsibility. In its Fire Officer I series, Action Training Systems identifies statistics as a key tool to prevent potential injury and death. As a fire officer at the unit level, you will be leading your team into many dangerous situations. If you know and can recognize what has caused fire service injuries and fatalities in the past, you will be better able to protect your team from harm in the present. Statistical data and current trends can offer insight into how injuries happen and what you can do to prevent them. This important information can also help you identify fire training needs and recognize hazardous situations. They include:Several organizations closely track firefighter injuries and deaths and provide a wealth of data online. Fire service trade magazines and websites also report news about special hazards to firefighters. Your own department is also a good resource for statistics and current trends, especially as they relate to your area. By studying what has happened locally, you may recognize patterns that can help you anticipate and plan ahead. For instance, your jurisdiction may have a highly developed downtown area, and you may notice that your department has performed several elevator rescues in recent years. 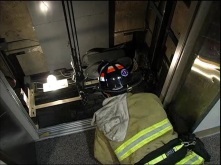 This information may motivate you to update your team’s elevator rescue training and review the elevator surveys of the buildings within your jurisdiction. Proactively studying statistics on how fire service injuries and fatalities occur should be a part of your routine. It is your job to research this important information and to then translate it into a solid, effective plan of action. Remember, they’re not “statistics” when it happens to one of your firefighters. Fire officers and assistant fire officers need to enforce a ‘no excuses’ safety culture with regard to policies affecting firefighter safety. Many people talk about “changing the culture” of the fire service to reduce firefighter injuries and fatalities, but what will that mean to you as a team leader? What are the characteristics of a safety culture and what are the practices for fostering it in your team? … a safety mindset that extends to every operation and activity – in the station, en route to emergencies, in training and in emergency response. It means that fire officers and firefighters make safety a part of the thinking process for every potentially dangerous situation. The idea is to create an environment in which all firefighters comply routinely with safe practices and expect their colleagues to do the same. A strong safety culture means understanding that safety protects everyone from tragedy – firefighters and the public they serve. As supervising fire officer, your job is to reinforce, refine and engrain that safety culture in your team. Enforce “no-excuses” compliance with safety policy and SOPs. Walk the walk. Model SOPs and safe practices at all times. Restate and re-emphasize safe practices in your communications. Record, investigate and report all accidents and firefighter close-calls. Training is where safety starts. Classroom and hands-on training are your best opportunities to educate your team about the importance of working within the system. You can stop firefighters from acquiring bad habits in training by reinforcing or correcting their behavior. Be sure that firefighters understand the dangers of deviating from established procedure. Also, discuss how your department's SOPs will counteract a potential hazard. Training is your firefighters’ best defense against accident or injury. But keep in mind that training in itself can be dangerous. The U.S. Fire Administration reports that almost 10% of firefighter injuries and fatalities occur while training. You’re not going to be liked for this, but when you accept the promotion to fire officer, this comes with the job. You’re expected to enforce safety policy regardless of who likes you or doesn’t like you. If firefighters resist the directive, explain why the policy is important. They have a right to disagree with it, but they must comply. If firefighters truly believe a practice is wrong, they must go through proper channels to implement a change. You should know your department’s SOPs like the back of your hand and model safe practices at all times. Don’t take shortcuts, even if resources are limited. Remind firefighters of safe practices on scene and in your radio commands when necessary. #5 - Investigate and Report All Accidents and Near-Misses. If an injury does occur, whether on the training ground or during an incident, follow your department's SOPs for reporting the accident. You should be prepared to help in the investigation and generate formal documents that explain your findings. By following SOPs, you’ll help your department respond to a possible time-loss claim and contribute to its wider knowledge about accidents to improve training, command and operations. Encourage firefighters to discuss their “near-misses” as well. A near-miss is an unintentionally unsafe occurrence that probably would have resulted in serious injury or death had there not been a lucky break in the chain of events. The National Fire fighter Near-Miss Reporting System is a voluntary, confidential online reporting system that collects national data on near-misses with the goal of improving firefighter safety. By sharing information about your near-misses though this system, you may save other firefighters’ lives. Enforcing safety and creating a safety culture isn’t easy. But on your most difficult days, it may help to remind yourself and your firefighters that you do it not just for their sake, but for the people they’ll go home to at the end of the day. Firefighting is one of the world's most dangerous professions. Firefighters get hurt and killed in many unpredictable situations, but most of the fatalities are predictable and preventable. It behooves you to foster a culture in which your team supports safety as a matter of competence. As company officer, you, more than any other member of the department, can save firefighters and their families from needless pain and suffering and ensure that everybody goes home.